Shuriken Variax SR250 features a traditional 25.5” scale length and Variax HD technology. The Shuriken Variax SR250 offers guitarists the choice of a familiar 25.5” scale length or, with the SR270, players get a longer 27” scale length. Both guitars offer unmatched versatility for any performance scenario. 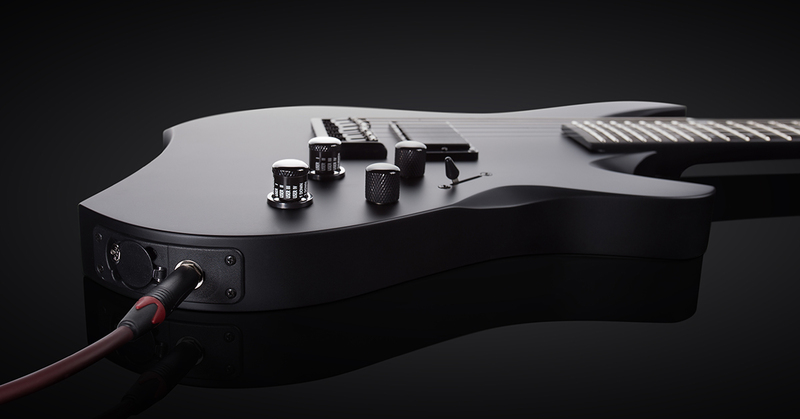 Line 6® today introduced the Shuriken® Variax® SR250 guitar. Featuring the same unique contoured body shape and powerful Variax HD technology as the longer-scale Shuriken Variax SR270, the Shuriken Variax SR250 features a traditional 25.5” scale length that will feel familiar to many guitarists, offering exceptional versatility for a wide range of musical styles. Shuriken Variax guitars are modern, high-quality instruments that were developed through a collaboration between Shuriken Guitars, Line 6, and Yamaha® Guitar Development. 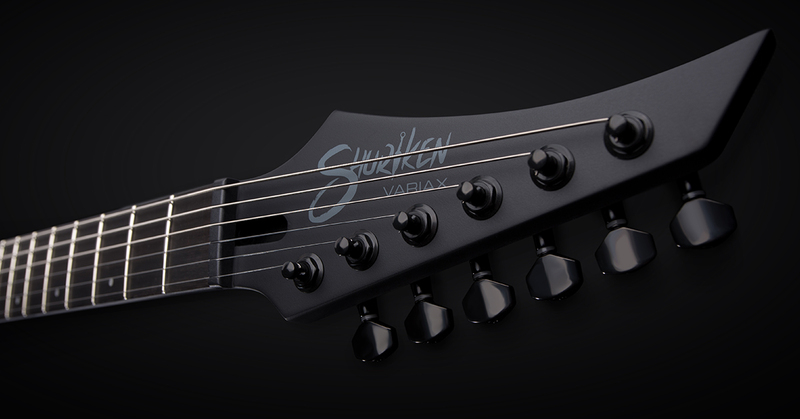 The Shuriken Variax SR250 allows guitarists to venture beyond the ranges of conventional 6-, 7-, or even 8-string guitars. Variax HD technology provides immediate access to a wide range of guitar models and alternate tunings simply by twisting a knob. Custom guitar models and alternate tunings can also be saved as presets. Guitarists can also design custom instruments and tunings, then load them into the guitar as presets using the free Workbench HD application. Although the Shuriken Variax SR250 can easily be incorporated into any guitar rig, pairing it with Line 6 Helix®, POD® HD, or Firehawk® modelers unlocks its full potential. Guitarists can create custom presets that change tunings and amp, effect, and guitar model settings, all with the touch of a footswitch. © 2018 Yamaha Guitar Group, Inc. All rights reserved. Line 6 and Variax are trademarks or registered trademarks of Yamaha Guitar Group, Inc. in the U.S. and/or other jurisdictions. Shuriken is a trademark of Shuriken Guitars Pty Ltd. and is a trademark or registered trademark in the U.S. and/or other jurisdictions and is used under license. For over two decades, Line 6 has created products that empower modern musicians to create, perform, and record in ways they never thought possible. Line 6 products are feature-rich, easy to use, and leverage groundbreaking digital technology that inspires musicians to achieve their full creative potential. With a long history of firsts, Line 6 has a proven track record of creating category-defining products—from the first modeling amplifier to POD®, Spider® amps, Variax® guitars, Relay® digital wireless, AMPLIFi®, and more. Recently, the Line 6 Helix® family of guitar processors has received numerous accolades and awards, including the Guitar World “Platinum Award”, the Premier Guitar “Premier Gear Award”, and the Guitar Player “Editors’ Pick” award. Line 6 is a member of the Yamaha Guitar Group, Inc. family. For more information, visit line6.com.